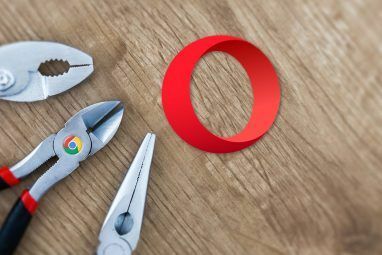 <firstimage=”//static.makeuseof.com/wp-content/uploads/2011/05/wikipedia-chrome.jpg” /> Even as the battle rages on between Chrome extensions and Firefox add-ons, it is we users who are coming out on top. There’s the sheer variety to choose from. Let’s take Wikipedia for instance. The online encyclopedia has managed to maintain its top-dog status when it comes to quick access (and free) source of valuable information. I can take any keyword and dive into Wikipedia’s rich cache of knowledge and not come up for air. Just so that my deep diving into Wikipedia remains a fun and educational experience, a bounty of Chrome extensions is a must-have for my browser. Nancy started me of with her post on The 7 Coolest Wikipedia Plugins for Your Browser The 7 Coolest Wikipedia Plugins for Your Browser The 7 Coolest Wikipedia Plugins for Your Browser Read More . Why stop there when the Chrome Web Store beckons with so many more choices to make my Wikipedia browsing more fun. As the name says, it is like a mini-browser for Wikipedia. Just like a browser it brings one touch access to your search and history as you trawl through Wikipedia. It makes Wikipedia lookups easier with a few optional controls. For each page of information, you can show-hide the sections in the article. You can set language options for the mini-browser, change font size, and set the extension to open a featured page on Wikipedia. You browsed pages remain in history till you clear them. While reading Wikipedia, a linked term usually takes us away from the original page we were reading. Sometimes we don’t come back at all. Solve that with Wikipedia Smart Links that popups up a selection of any article linked from within it when you hover over the link with your mouse. You can also use Wikipedia Quick Hints for the same purpose. Wikimedia Commons or the other copyrighted images are a treasure trove. Sure you can get them with a search or a click on the image thumbnail itself. This Chrome extension makes it simpler to view by giving you a full-size preview of an image in a lightbox, which loads right in the same page while fading the background. The Wikipedia Reader extension brings the same functionality and also gives you a dekko at the reference link box with a mouseover. This is a simple extension that displays the most popular articles of the day. Oh yes, you also get pages like “404 error” and “Main Page”. That’s evened off by topical pages like Dominique Strauss-Kahn and McDonald’s monopoly. Restyle the way you read Wikipedia with a distraction free neater interface. You can use the menu on right-top to browse to a random page, Some of the other features like Talk and Edit weren’t returning the desired results though. If you want to give your Wikipedia reading experience another little tweak, install this Chrome extension that does a simple thing – it duplicates the Ubuntu font on your Wikipedia pages and changes the default look and feel by a smidgen. This simple Chrome extension socializes Wikipedia by adding a Facebook Like button to each article in Wikipedia , Wikimedia, Wikiquote , and other Wikimedia-Foundation sites. 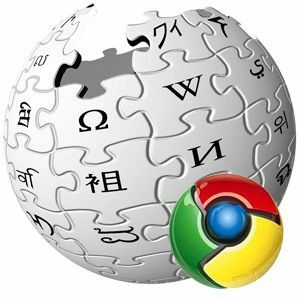 This Chrome extension for Wikipedia hasn’t seen a download yet, but I think it could be really useful if you are deep into Wikipedia research and need to quickly scan a Wikipedia page to see keywords that fall into it. The extension lists up anchored words in the sentences of Wikipedia articles. You can then lookup the important parts first by looking at the words that have their own articles. Then, you can click through to a word or topic that interests you. It seemed slightly buggy as I had to click the extension twice to get the word list. Admittedly this extension won’t be of much use to us normal folks, but if you use Wikipedia for research you can use Google’s Ngram Viewer straightaway to graphically see the popularity of a given word over the years. The info page on Google’s Ngram also has this link which shows its utility as a research tool. This post started out as one meant for the Wikipedia hound. So, in the end, it’s essential to just take a look at how much of Wikipedia’s terrain one has conquered. The extension tracks your total reading and displays it as a percentage (in scientific notation). You have to be logged in to allow the extension to retrieve your Wikipedia browsing stats. From faster navigation 5 Chrome Extensions For Faster Navigation 5 Chrome Extensions For Faster Navigation Read More to better reading The Four Google Chrome Extensions For Easier Online Reading The Four Google Chrome Extensions For Easier Online Reading Read More , we have seen the utility of Chrome extensions. Why shouldn’t you utilize them for enhancing your Wikipedia visits? 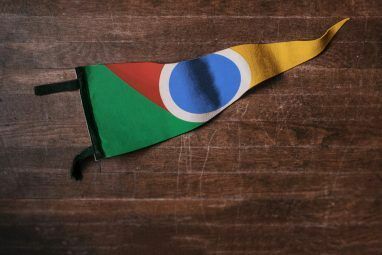 Let us know about your favorite Chrome extensions…for Wikipedia browsing or otherwise. Wikiminute and Wikipedia + Ngram seem most useful for me. From a functional viewpoint, the latter reminds me of Google Trends. True, NGram is almost like Google Trends. Hey, do let us know how you use it? 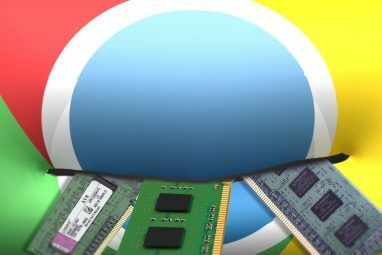 Useful, but I tried to stay away from mentioning too many search extensions as there are quite a few. Thanks for the link.